It is not uncommon to find people in love fight with each other. However, sometimes these fights turn so ugly that they end up splitting lovers up. Fortunately, a break up is not the end of a relationship and it is very much possible to get back together, though it will require some sincere commitment and effort on your part. The first thing you need to do is to decide whether the relationship is worth saving. It will require a bit of an effort for you to mend something that is broken, which is why there is absolutely no room for uncertainty of second thoughts. Ask yourself if what you have lost is worth getting back and if you are ready to commit to it. Ask yourself what is it that makes the relationship worth saving and also think about the things that made it difficult for you to maintain the relationship. 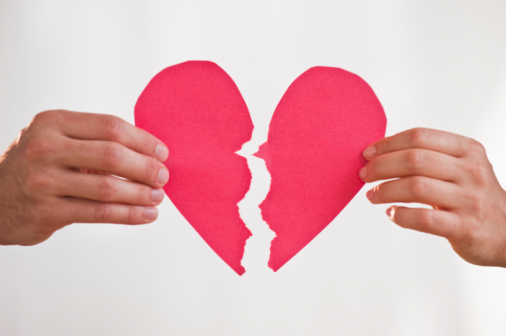 After you are clear that the relationship is worth saving, it is time for you to accept the fact that you and your beloved are currently split up and that your relationship has fallen apart. Do not make the mistake of assuming that it is just a phase and will pass with time. Unlike wounds, which heal on their own, a relationship requires an effort to get healed. You can also start making an effort after you accept the reality of the situation. After your break-up with your loved one and you realise what has happened, you are bound to feel angry, frustrated and depressed. There are certain things that you may be tempted to do, from hurting your beloved with words, or forcing them to come back through coercion and blackmail. In some cases, you may even be tempted to end your life. It is important to keep your composure and not let the emotions get the better of you. Allowing your emotions to take control of your body and mouth instead of your mind will only make the situation worse. Gather up all the strength from every inch of your body and stay strong. Do not contact your beloved after you have come to terms with how much you miss your significant other and how badly you want her back. You need to understand that it is still too early to make contact with someone who will quite possibly put your tolerance to test. Give yourself some time to become more stable and at the same time allow your loved one to realise what they have lost. Do not send them any messages, begging them to come back. Do not meet them face-to-face or get their friends and family involved. After a few days or weeks have gone by and you are completely sure that your emotions are in control, pinpoint the problem that split you up with your loved one and how you can prevent it from making an impact on your relationship in the future. Meet or call your beloved and sort things out. Let them know you love them very much and want things to go back to the way they were. If your beloved vents her emotions, listen patiently. Do not allow a blame game to start. You can also get them a gift.